A man has been found guilty of murdering his 18-month-old baby just two weeks after formally adopting her. 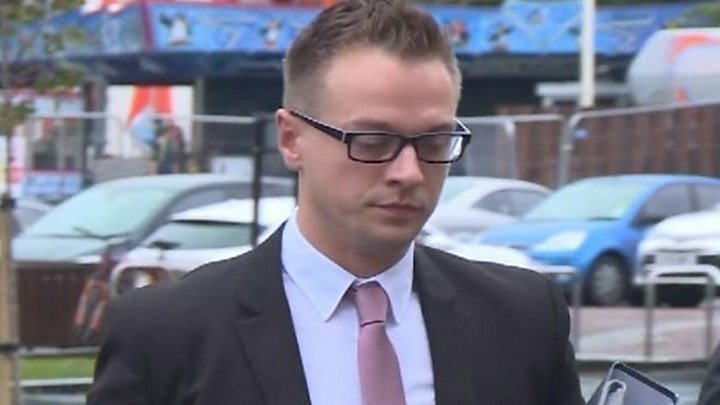 Matthew Scully-Hicks, 31, of Delabole, Cornwall, had denied inflicting catastrophic injuries on Elsie at his Cardiff home four days before she died.He called 999 on 25 May 2016 claiming he had found her unresponsive on the floor but a jury unanimously rejected his claim.A pathologist said her injuries were "very typical" of a shaken baby. A child practice review is now expected to take place which will investigate the role of agencies in the case and look at whether lessons can be learned to prevent future tragedies. Pathologist Dr Stephen Leadbetter told the trial Elsie's injuries were consistent with "shaking impact syndrome".He said she died after suffering a "blunt head injury", which triggered a cardiac arrest and starved her organs of blood.A CT scan showed she had bleeding on the brain and a post-mortem examination revealed she had also suffered broken ribs, a fractured left femur and a fractured skull.There was also haemorrhaging within both of Elsie's retinas - associated with inflicted trauma or injury.In the months before her death, Scully-Hicks had told his husband and a health visitor a bruise on Elsie's face and leg fracture were caused by falls around the house.But a doctor who examined Elsie after her death said his account was inconsistent with her injuries. Less than three months before she died Scully-Hicks called 999 and said Elsie had fallen down the stairs after a wooden stair gate accidentally opened when she pulled herself up on it. On 25 May, Scully-Hicks was on the phone to the emergency services again.This time he said he had changed Elsie's nappy in the living room, left the room before returning minutes later to find her unresponsive on the floor. He told the court: "I got closer and called her, there was no response. I got down and gave her a gentle tap and there was no response at all so I picked up the phone and called for an ambulance. "He said he carried out CPR until a police officer arrived and took over and she was rushed to hospital.Elsie died at the University Hospital of Wales, in Cardiff, on 29 May 2016 after doctors determined she could not be saved and her ventilator was switched off. During the trail, the jury was told Scully-Hicks had sent his husband Craig text messages saying he was "struggling to cope" and describing Elsie as "Satan in a babygro" and a "psycho".Neighbours told the court they heard Scully-Hicks raise his voice and swear at the the baby. The court heard Scully-Hicks who remained emotionless as the jury gave its unanimous verdict, did not suffer from a Psychiactric illness or personality disorder. Prosecutor Paul Lewis QC, said: "[Scully-Hicks'] actions on the late afternoon of 25 May were the tragic culmination of a course of violent conduct on his part towards a defenceless child - an infant that he should have loved and protected, but whom he instead assaulted, abused, and ultimately murdered. "Following the unanimous verdict, Iwan Jenkins, from the Crown Prosecution Service said: "There were complicating factors in that the only two people who knew what happened in the months leading up to the incident which resulted in her hospitalisation were the defendant and the victim herself. "He said evidence from medical experts had been "crucial" to the case, adding the analysis of Elsie's injuries were "vital to show explanations provided by the defendant were not true and were inconsistent". He added: "There are no winners in cases of murder. "A National Adoption Service spokesman said it was a "tragic and extremely rare case".